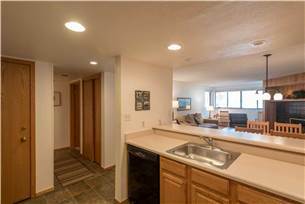 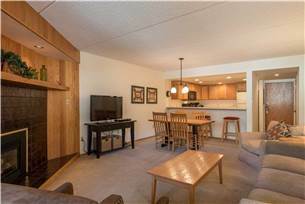 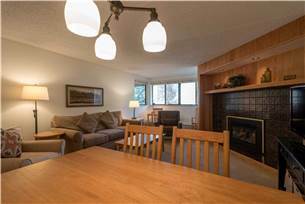 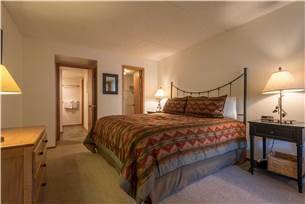 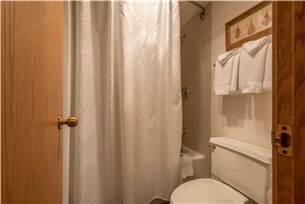 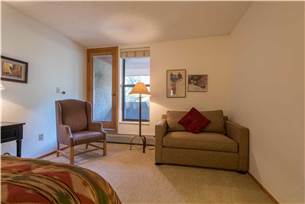 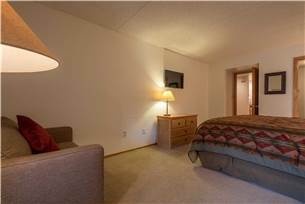 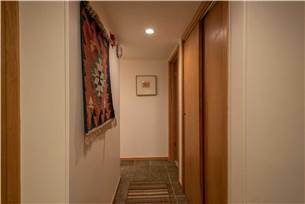 A “Ski-in/Ski-out” condominium, Spruce Lodge 296 is complete with 1 Bedroom and a newly remodeled Full Size Bath, sleeping 5 people. 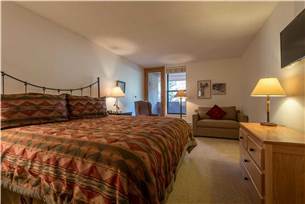 This perfect mountain getaway has a King Size Bed plus twin sofa bed in the bedroom and a Queen Sofa Sleeper in the spacious Living Room. 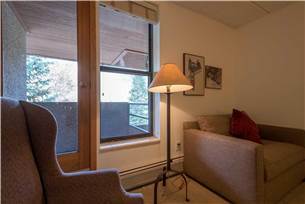 The 700 sq. 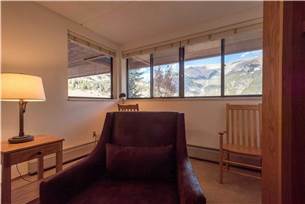 ft. floor plan includes a Petite Balcony, off of the Master bedroom, with picturesque views of the famous Ten Mille Range. 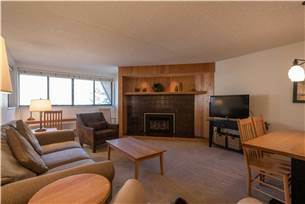 You may cozy up and read a book by the Gas Fireplace, stay connected with the Free Wireless Internet or you may catch a program on the brand new, huge, Flat Screen TV/Blu Ray DVD combo. 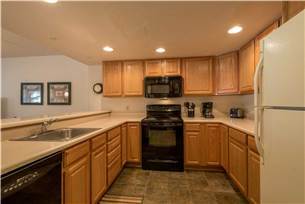 The fully equipped Kitchen offers all that you need to prepare a meal, large or small. 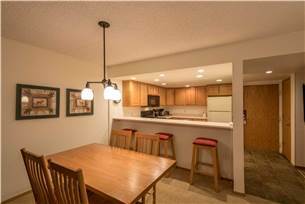 Catch up on today’s activities around the Dining Room Table located in the Living Space. 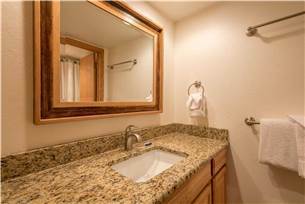 Spruce Lodge offers a community indoor Hot Tub for you to relax in, heated indoor Parking for your ease, and Community Laundry Facilities for your convenience. 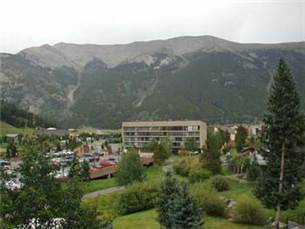 The tremendous Slope Side location right in the heart of the Center Village puts you on Burning Stone Plaza where you can enjoy the many shops, restaurants and entertainments Copper Mountain has to offer. 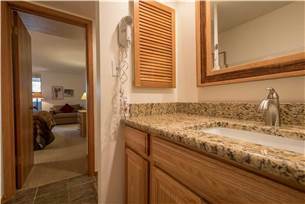 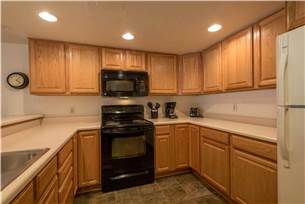 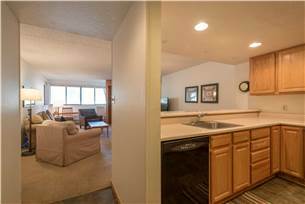 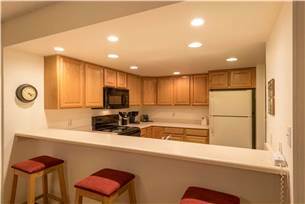 This condo will have you returning again and again!